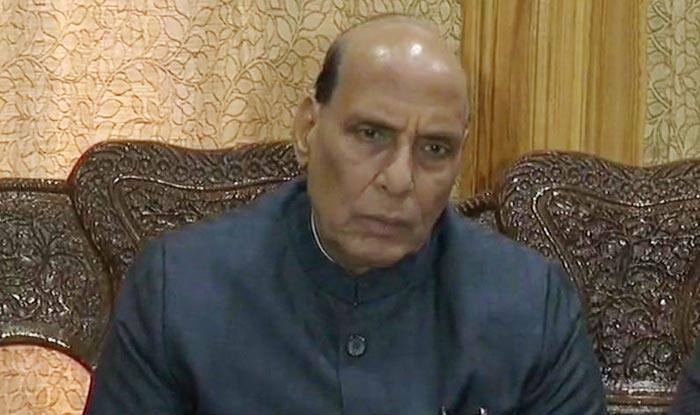 Rajnath Singh lashes out at the Congress for demanding proof of casualties in Balakot, the anti-terror strike. New Delhi: Home Minister Rajnath Singh on Monday hit out at the Congress for questioning the Balkot air strike and demanding proof of terrorists killed in the anti-terror operation. “Vultures count casualties not soldiers,” the home minister said. Rajnath Singh added, “In 1971 when Indira Gandhi taught Pakistan a lesson, Atal Bihari Vajpayee praised her in parliament. He asked if Gandhi got the credit, why can’t Modi get the same for airstrikes and surgical strikes. On February 26, India avenged the Pulwama Terror Attack by carrying out a ‘pre-emptive and non-military’ strike on Pakistan’s soil. The strike is said to have killed nearly 300 terrorists. The following day, Islamabad made a failed an attempt to target military installations in India in which one MiG 21 was lost and an IAF pilot went “missing in action”. However, the pilot was brought back from Pakistan on Friday. Notably, Congress leader Kapil Sibal had earlier questioned the Centre over the anti-terror action by IAF and alleged that there were hardly any casualties in the strike. “When the international media speak against Pakistan, you are “elated”. But when they ask questions (about the airstrike), they are asking because they support Pak?” asked Sibal. Echoing similar tone, senior Congress leader P Chidambaram also asked who earmarked the number of casualties as 300 in the attack? He pointed that if the Indian Air Force Vice Air Marshal refused to comment or divulge information on the number of ‘terrorists killed’ in the Indian strike, then how come there are reports of at least 300 casualties?